I completed my externship this summer at the Massachusetts Society for the Prevention of Cruelty to Animals (MSPCA) in Boston. 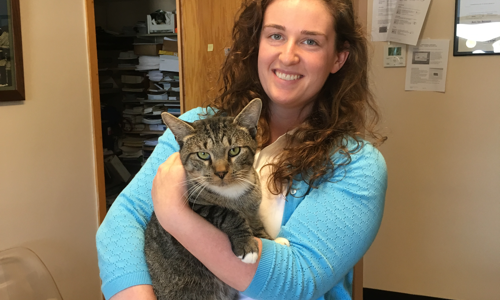 I worked in the Advocacy Department, assisting with efforts to advance animal-friendly legislation in Massachusetts. These included performing research, writing social media posts, attending hearings and meetings with legislators, drafting testimony, creating campaign/lobbying documents, updating the website, and replying to email inquiries. I was lucky to be involved with the Cambridge ordinance that passed in August banning the sale of animals (mammals, birds, reptiles, amphibians, and arachnids) in pet stores. 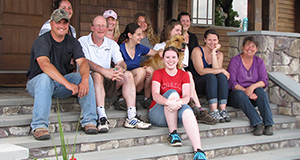 The MAPP program equipped me with the knowledge base to speak thoughtfully about a wide variety of animal issues and helped me develop my voice in advocacy writing. This externship gave me practical experience working in the policy side of animal advocacy, and I hope to use these skills in future career endeavors.